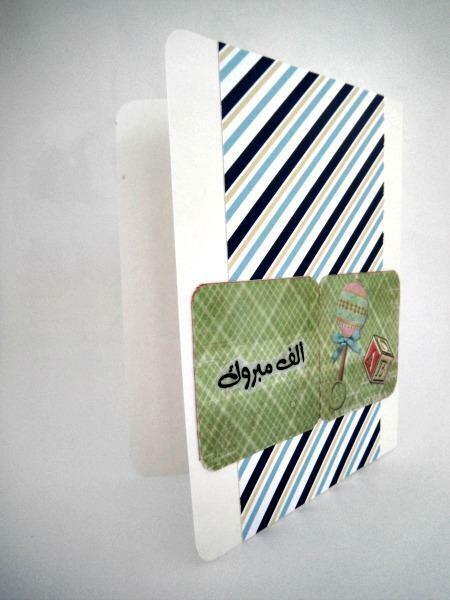 How about wishing new parents congratulations on their little one with this Alif Mabrouk (congratulations in Arabic) card. It has a diagonally stripped blue, yellow and white background. 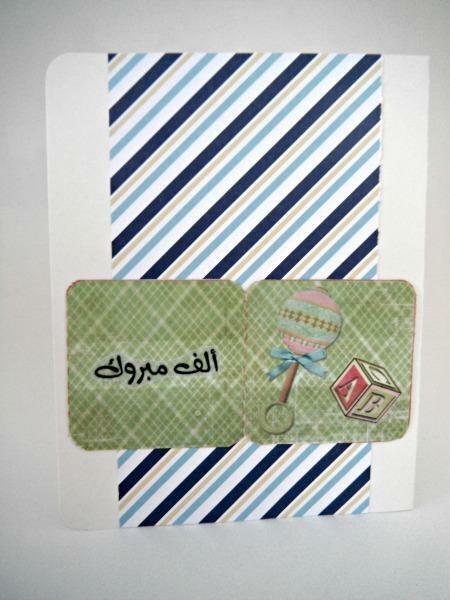 A foldout card, with a rattle and alphabet block, has been added with the words Alif Mabrouk put on one side.